On Friday 23-09-2016 DARE performed a second successful flight with the V7S. 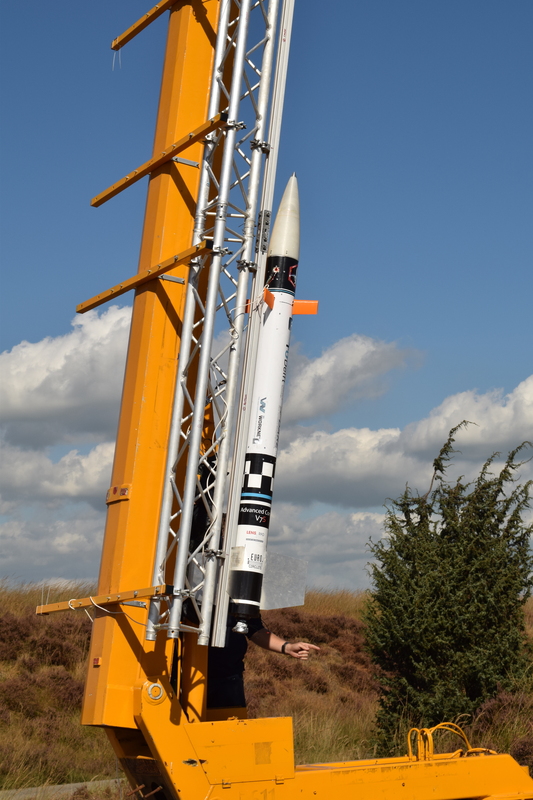 The first flight of this rocket was in May 2016 and you can read the article on that launch here. The objective in May was to use the steerable fins (canards) on top of the rocket to keep the roll rate at zero for the first part of the flight, then induce a constant rolling rate. Finally, the roll rate would be returned to zero at the end of the flight. 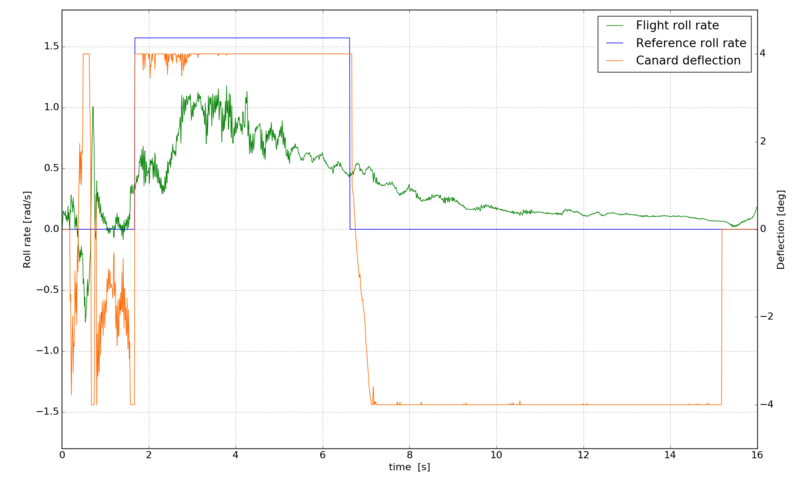 The conclusion of the May launch was that in an absolute sense the system worked, however, the canards were too small to achieve the reference roll rate. September’s launch would fly a similar mission profile but with larger canards. The surface area of the canards was doubled compared to the May launch and the maximum deflection of the canards was raised in order to increase the roll authority. For this launch it was also planned to implement the LENS BiSon64 sunsensor, to get familiar with its interfaces and data handling processes. The ACT wants to use the LENS sunsensor in project Aether as a payload module, to determine if it could be used for attitude determination in future projects. 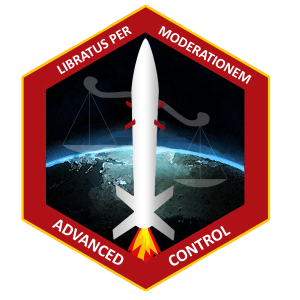 Unfortunately, due to unforeseen circumstances, it was not possible to implement the sensor in time for the launch. The launch of the V7S went perfectly. Because the V7S requires a larger safe zone than a standard CanSat rocket, the launch tower for the V7S had to move further away from the audience. With the help of T-Minus’ hydraulic launch tower, the rocket was ready to fly within a couple of minutes. In contrast to DARE’s standard CanSat rockets, the V7S still requires some operations when the rocket is in the tower. Once the rocket is in the launch tower and raised to its elevation launch angle, the team needs to connect a laptop and the flight computer via the launch boxes, in order to calibrate the system such that the rocket “knows” where it is. 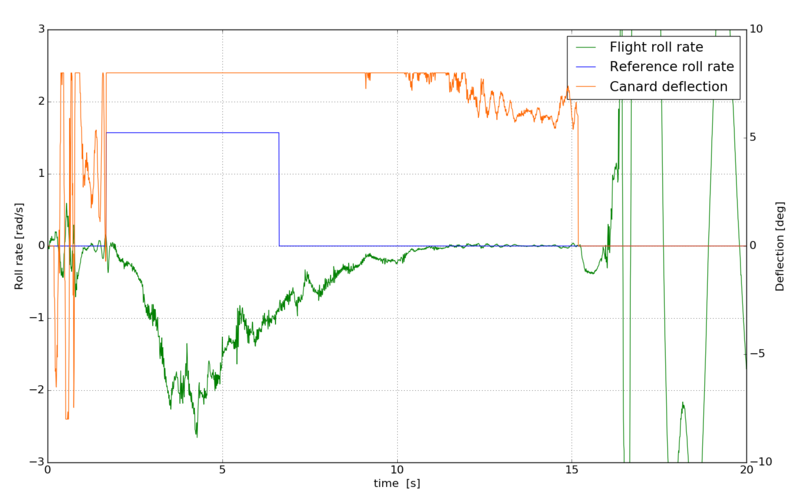 With this data connection, the team could continuously monitor the rocket’s status. After the successful calibration process, the rocket was ready to launch. From the retrieved flight data, it was possible to reconstruct the entire flight. The graphs below show the roll-rate, canard deflection and reference roll-rate for both the May and the September launches. 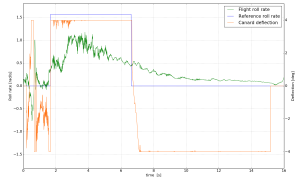 This data is retrieved with the XSENS Mti-100 IMU. Comparing the results, it becomes clear that the roll rate was indeed much higher than during the previous launch, however, more surprisingly, in the opposite direction! Initial investigation ruled out any errors in the actuation system. The preliminary conclusion is that the control inversion was caused by aerodynamic interaction between the canards and the fins since these are positioned directly above each other. Project Aether will not suffer from the difficulties experienced by the ACT launches, because of a slightly different configuration where the canards and fins are not mounted directly above each other, thus reducing the aerodynamic interaction. The canards on Aether should still be able to actively stabilize the rocket during its flight. This was the 2nd time that DARE has successfully tested a roll-stabilized rocket. 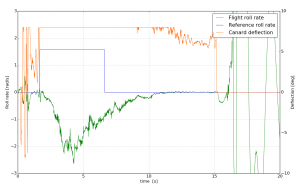 The results of both flights, however, showed that aerodynamic stabilization with steerable wings is not the most efficient way to stabilize roll. The team is, therefore, investigating new methods, which can be implemented in the next CanSat V7S. It is still a long road towards a fully actively stabilized rocket, but DARE will make sure that in the end this advanced system can guarantee a safe and stabilized flight to space. And after all, this is rocket science! 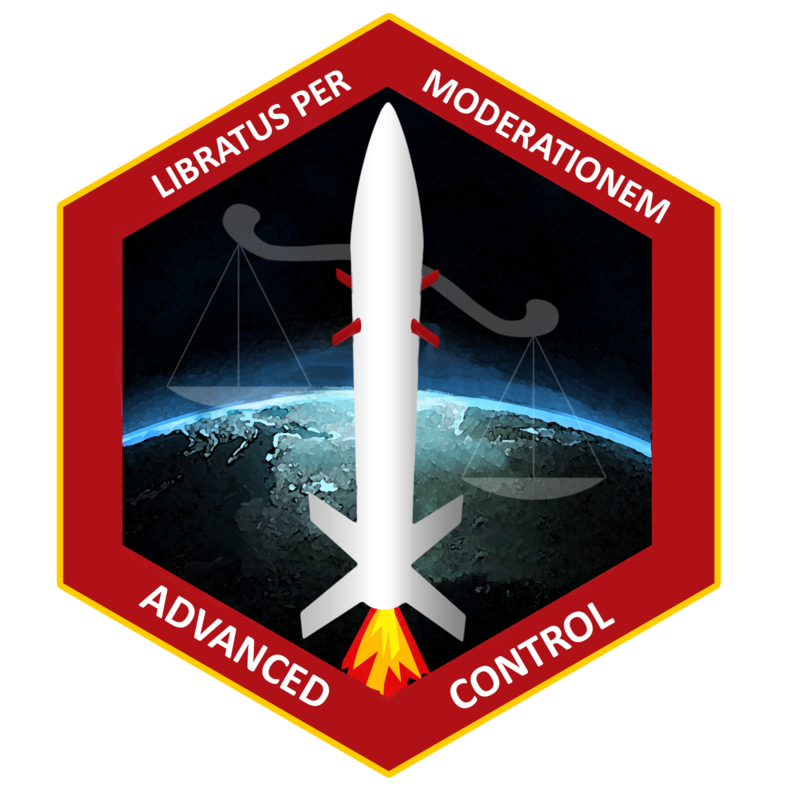 Next: Next post: Happy rocket-versary: One year ago, we launched Stratos II+!